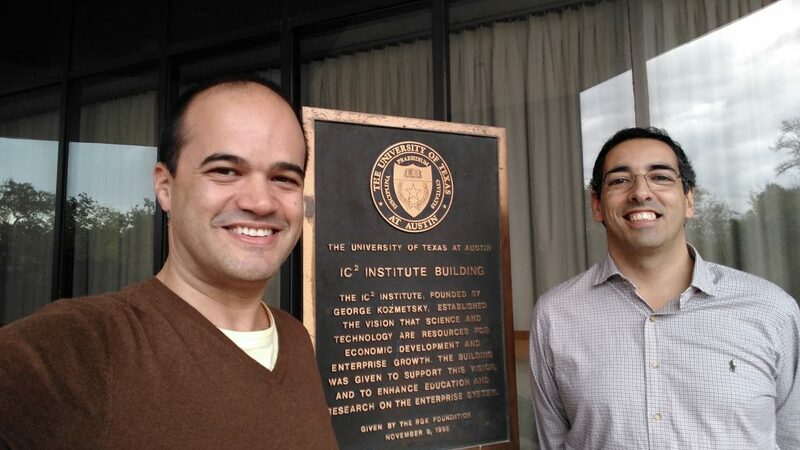 We have just returned from a week in Austin, Texas, in University of Texas’ Global Startup Program! This is a startup acceleration program to help Portuguese companies access the US market and venture capital. In short, participating companies get help with the sales and VC pitches and benefit from the mentors’ extensive business expertise and network. GSP is sponsored by the Portuguese government via the FCT – Foundation for Science and Technology – and has already helped over 50 Portuguese startups since 2011. This Orientation Week was filled with many new, and useful experiences for Shelf.AI. Day one was devoted to our pitches. Each company had time to practice theirs and there was ample opportunity to receive feedback to improve it. Day two was spent pitching Shelf.AI to a MasterMind Success Committee, comprised of local entrepreneurs and business leaders, to receive their feedback to further improve our pitches and gain other valuable insights. On day three we visited Capital Factory, a local incubator / co-work space in downtown Austin. 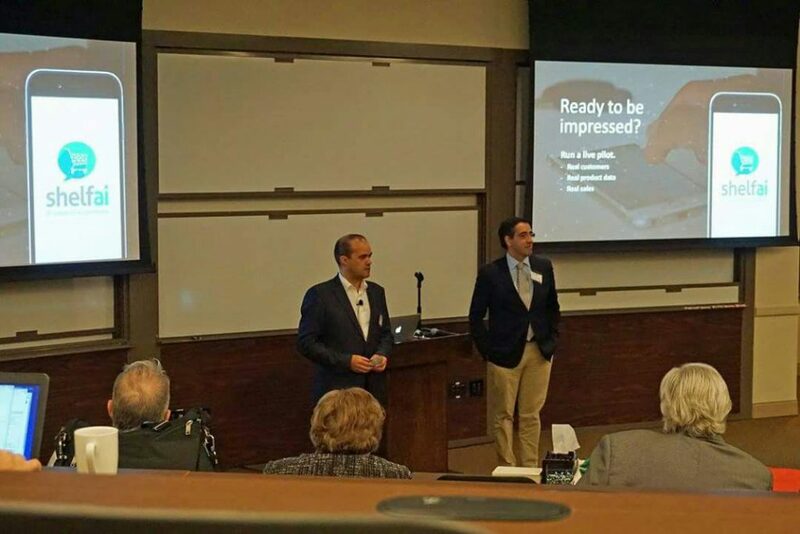 In the other days, there was further coaching and companies also had some free time to meet with prospect clients close to Austin. Pitching and receiving feedback at the MasterMind Success Committee. After this was over we stayed for a few days more and we took that opportunity to contact relevant Texas companies. It was surprising for us how quickly things moved and to have our pitch and approach validated so clearly by major businesses. Needless to say, that at the moment we can’t share more than this, but watch this space. All in all, it was a great opportunity for us at Shelf.AI to be among so many bright people who have helped us improve our pitch, our market approach and event our product and we highly recommend this to other Portuguese startups. Marco Bravo, Rodney Klassy, Chris Meyers and Bruce Flory, from the University of Texas, bring huge experience and expertise to us and we can’t commend them enough! 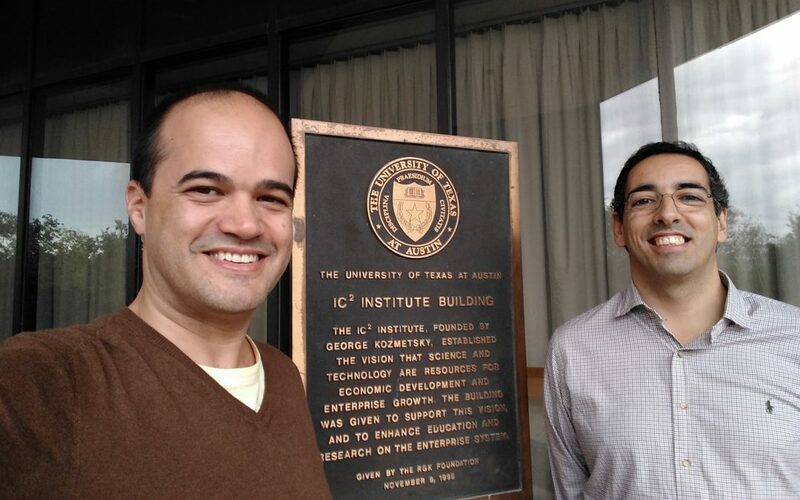 Norberto Amaral and Silvio Macedo at the IC2 building of the University of Texas. Update November 29: After our return home, it was great to have received the news that we had been accepted into the program! This promises a great year ahead! GREAT, well done!! Congratulations to you Norberto and to all of you. You’ve made the grade. Looking forward to hearing your upcoming great news. Shine on! !